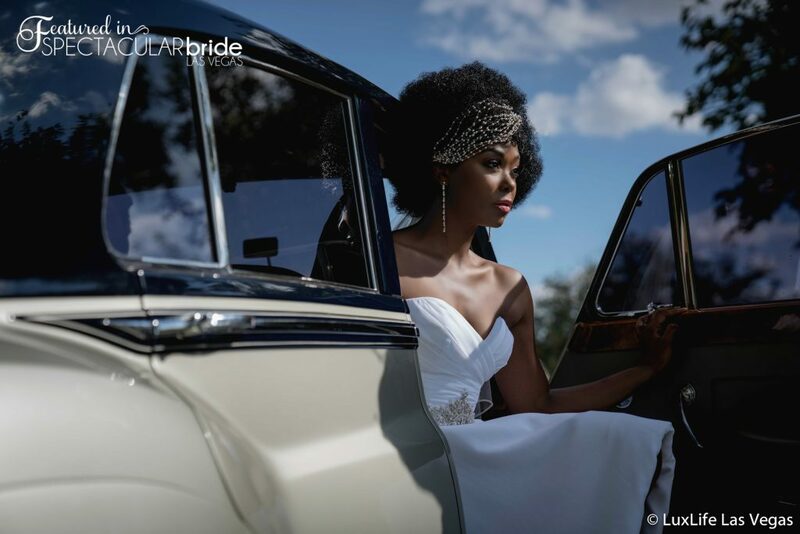 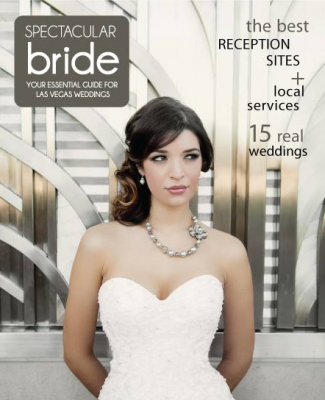 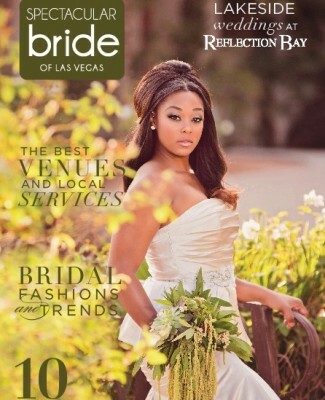 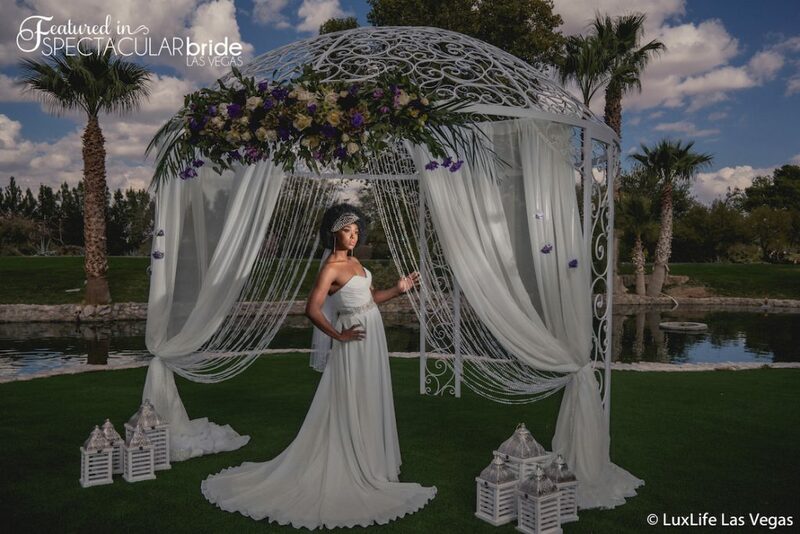 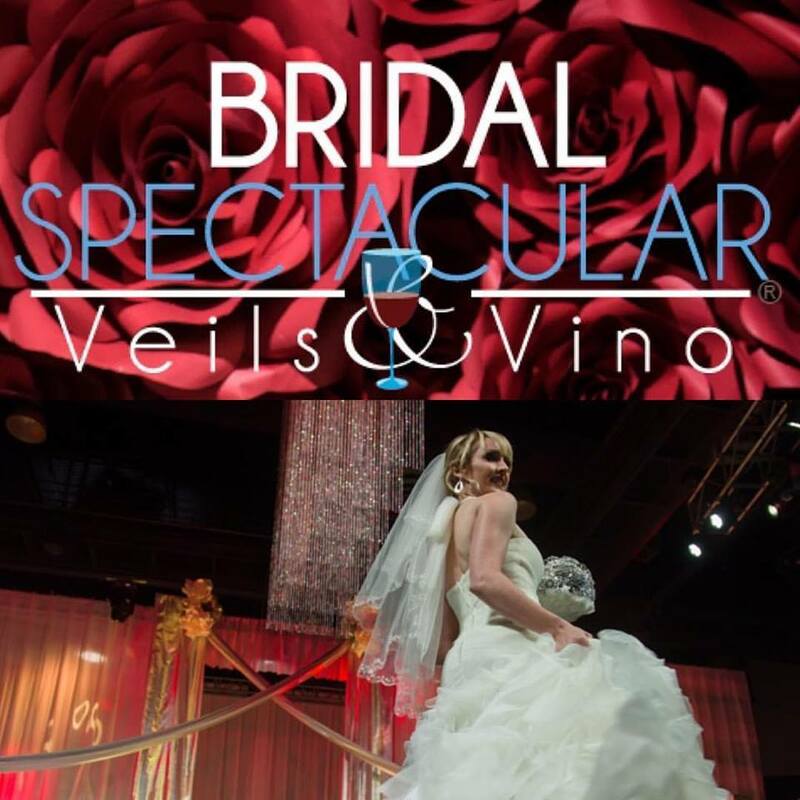 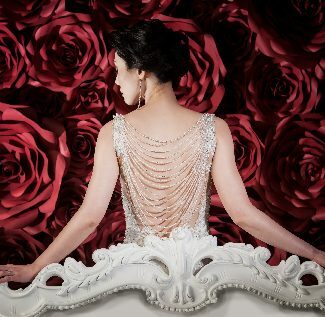 Spectacular Bride features wedding fashion captured LuxLife Photography. 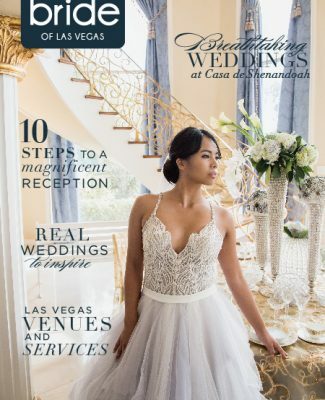 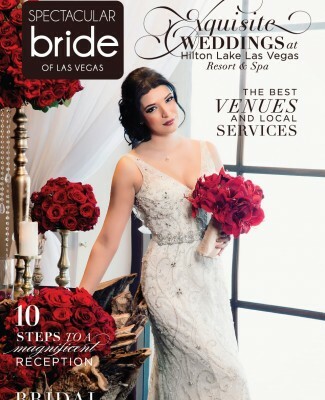 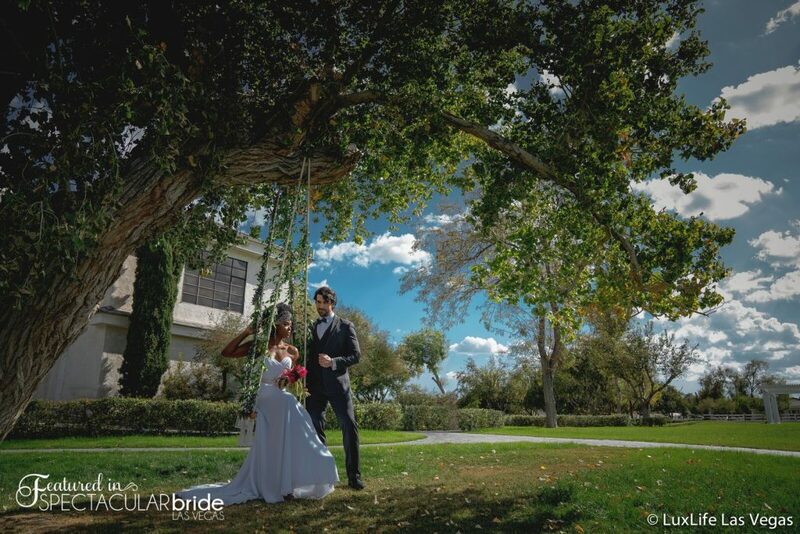 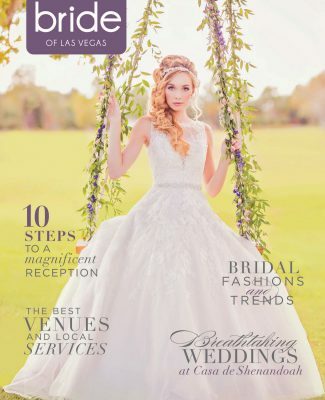 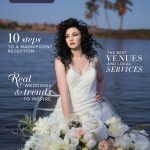 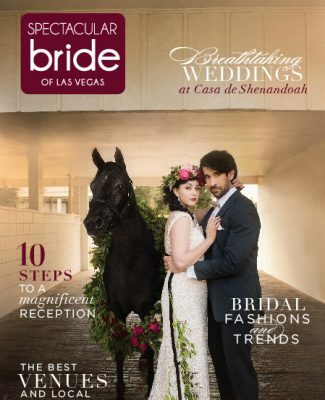 Boasting a luxurious wedding setting complete with a stately mansion, breathtaking water features, and an extraordinary vintage car collection, Casa De Shenandoah offers everything you would want for a dream Las Vegas wedding. 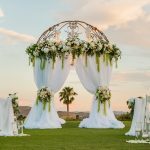 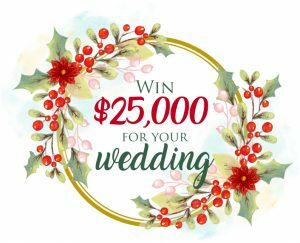 To complement such a breathtaking venue, you need an equally amazing wedding style — which our next bride displays flawlessly! 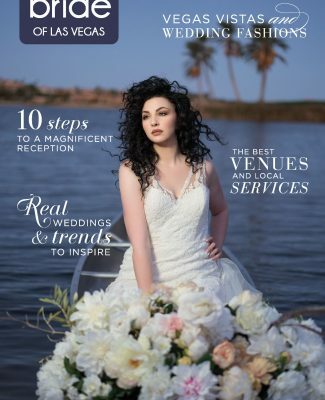 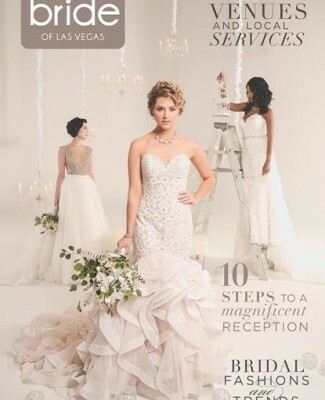 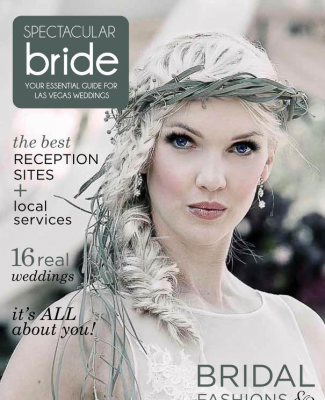 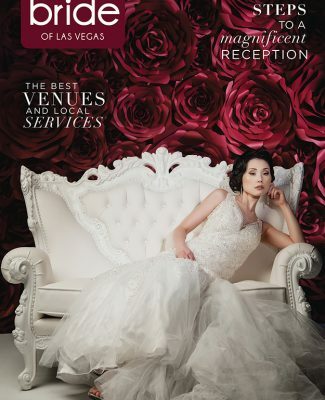 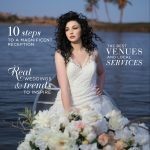 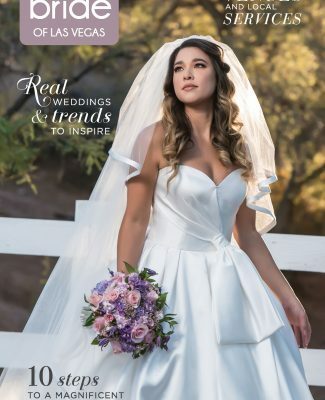 As featured in the spring edition of Spectacular Bride Magazine, our beautiful bride Jessica is wearing a gorgeous Brilliant Bridal wedding gown with a sweetheart neckline, ruched bodice and ornate belt. 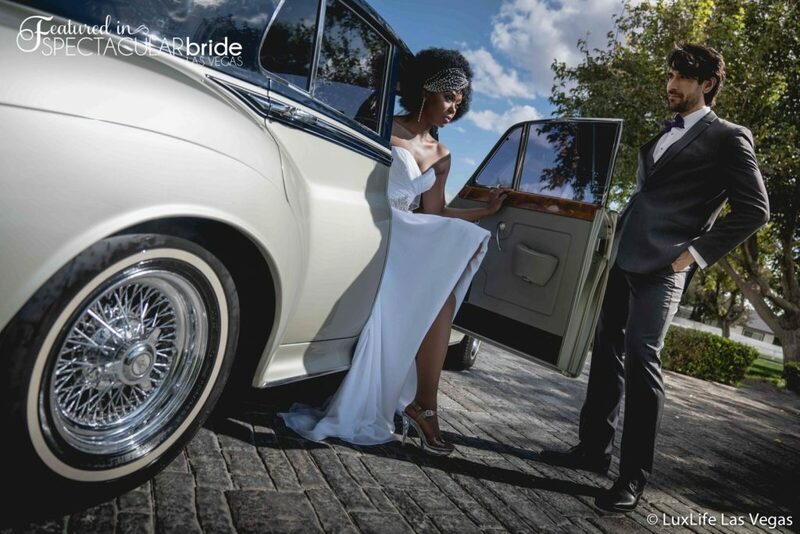 Our sleek and dapper groom is clad in a classy gray tuxedo with a deep plum bowtie with matching pocket square from Friar Tux Shop. 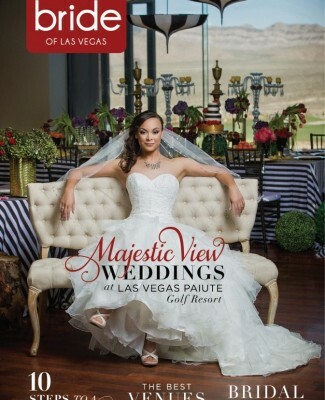 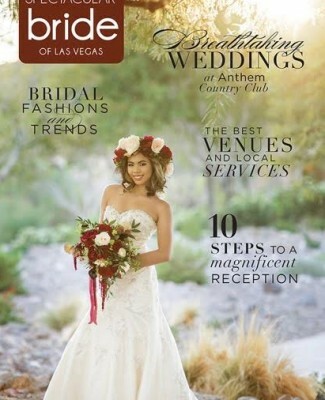 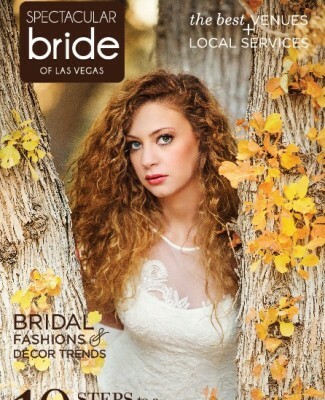 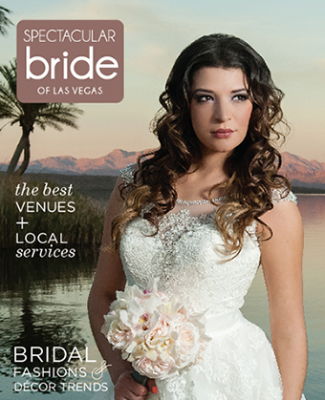 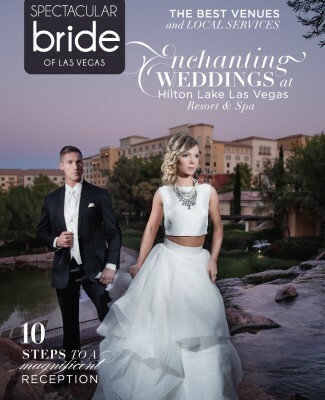 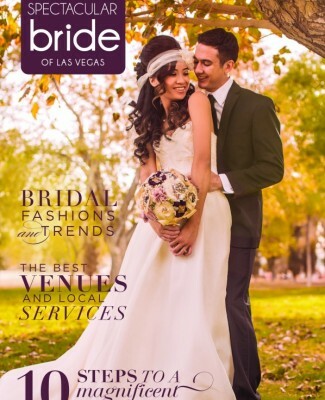 This exquisite couple is complimentary glamorous with finishing touches of hair and makeup by Makeup in the 702. 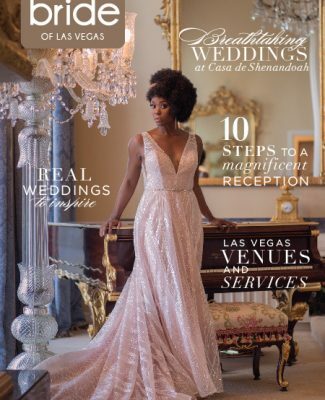 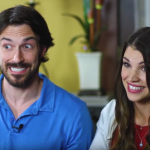 This show stopping style pairs perfectly with the luxurious Casa De Shenandoah in the backdrop — enjoy!